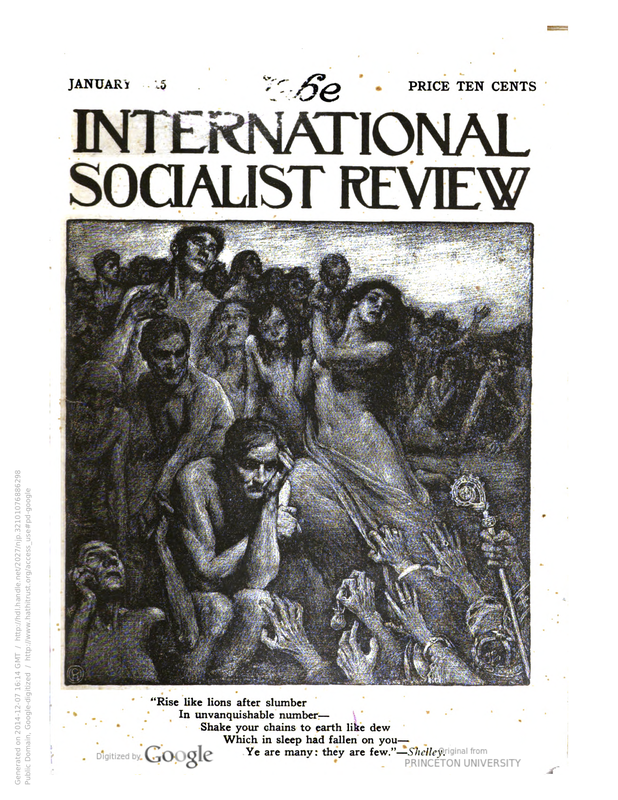 One Hundred Years Ago: International Socialist Review and New Review | Criticism &c.
When I joined the throng on Boulevard Poissoniére the evening of July 29, 1914, I felt proud that I was a socialist and could count these thousands of Parisian workers as my brothers. “See,” I said to a friend, “these men are all-powerful. They do not wish war. There will be no war.” Those many thousands of workers really seemed to mean what they said when they shouted “á bas la guerre.” (Down with war!) The garde republicaine, armed with rifles and bayonets, charged the mob many times with bayonets fixed, but it made little difference. I felt for the first time in my life the sensation of being charged upon by soldiers. We all ran before them but we came back many times. The next day Jaurès was assassinated! So much did the French government agree with me that the socialists were a mighty power and might demand reprisals in their fury, that within twelve hours of the even they had placarded Paris with a proclamation that the government mourned with the socialists the loss of the great leader and would see that the assassin was dealt with summarily. The next day La Guerre Social, [Gustave] Hervé’s paper, came out with a great leading article entitled: “They have assassinated Jaurès, we will not assassinate France,” in which he advised all socialists and revolutionists to rally to the defense of the nation. Was ever so much history crammed into three short days? May I never live through so much in the rest of my life—yet I fear that more and worse events are to confront us very soon. An aside: For a riposte delivered early in 2014 to the scholarly tendency to attribute to start of World War I to anything else but capitalism, see the Trotskyist Walter Daum’s letter to the New York Review of Books. Daum, author of The Life and Death of Stalinism, may be best remembered for publicly challenging then-aspiring Presidential candidate John Kerry on the Iraq war at an event in New York in 2004. 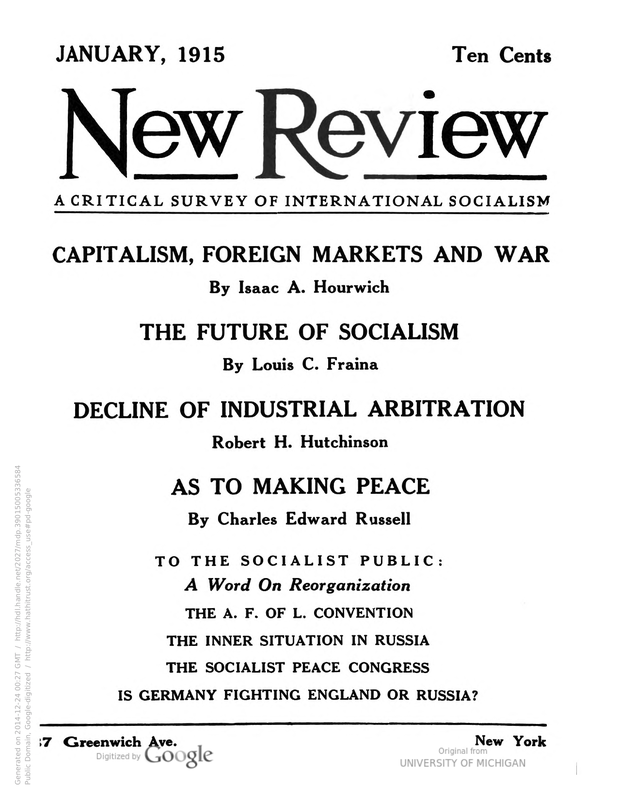 This entry was posted in 100 Years Ago and tagged International Socialist Review, New Review, Socialism, Walter Daum, World War I. Bookmark the permalink.